Qualified from Charing Cross and Westminster Medical School in 1989. Lives in Southport. Father of 2. My wife (also a doctor) works in St Helens. Interests include; fell running, The Lake District, keeping chickens and chess. Dislikes, Litter and smoking. Qualified from Debrecen, Hungary in 1987. Anaesthesia and Intensive Therapy Degree in 1995. Qualified from Baghdad University in 1991. Member of the Royal College of General Practitioners (2008), MSc in Trauma and Orthopaedics (UCLAN - 2006), Member of the Royal College of Surgeons of Edinburgh (2003), MSc (hons) in clinical physiology 1995. Lives in Southport. Father of three adorable children, 2 boys and a princess. Interests include; tennis, formula 1 racing and just started golf. I also keep the largest indoor plant in the surgery. Dislikes; non-punctuality, politics and politicians. Qualified from Liverpool Medical School in 2005. Member of The Royal College of General Practitioners. Diploma of the Royal College of Obstetricians and Gynaecologists, Diploma of the Faculty of Sexual and Reproductive Health, BSc (Hons) in Biochemistry. Qualified from Liverpool Medical School in 1982. Father of 3, married to a psychologist. Interests include; running (I believe in exercise and its health benefits), can weight loss help blood pressure and other problems? I am a trustee of the Queenscourt Hospice and also The Three Owls Bird Sanctuary. Dr Unwin has now retired as a partner from Norwood Surgery. He will continue to work two sessions per week (Monday and Thursday- appointments will be limited) seeing patients and carrying on with his Low Carb work. Currently living in Liverpool. Interests include motorsport, golf, tennis, snowboarding, surfing, diving and socialising. Dislikes; politics, bad parking. Lives in Southport, Married to a GP and mum of 4. Hobbies: running, days out with the family, recently taken up horse riding. Norwood Surgery is a training Practice, which means that fully-qualified doctors, who have usually completed their 4 years of training in hospital medicine. They then spend up to eighteen months working in a practice to develop their skills. Currently we have 3 GP Registrars who is supervised by our three trainers, Dr S D Tobin, Dr A Al-Dahiri and Dr A Zubairu. As a patient you may be asked for your consent to be videoed during your consultation for training purposes. The recordings are done in accordance with the Royal College of General Practitioners and as a patient you are entitled to ask for the camera not be used during your appointment. The recordings are strictly confidential and are only used for training purposes. Our Practice Nurses deal with most treatment room conditions, cervical smears, chronic disease management clinics, and travel advice. Our team of fully trained personnel are available to arrange appointments, deal with your enquiries and support your doctor. Any information given to the member of staff is treated in absolute confidence. The Midwives attend the surgery on a Wednesday to look after our expectant mothers. 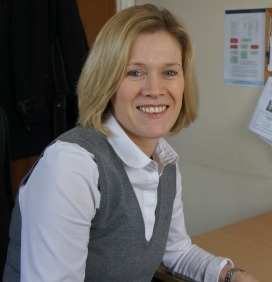 Our District Nurse Team is based at Churchtown Medical Centre and is led by Alison Oliver. Their telephone number is 01704 215480. District Nurses provide nursing care to the house bound after assessment of health needs. The health visiting team is also based at Churchtown. Their contact number is 01704 215481. The health visitors are closely involved with the health care of patients, particularly children. The health visitor immunisation clinic is held every Friday, appointment only.